Do not drive around without auto insurance, it is illegal. 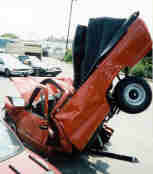 In fact, most auto insurance companies will not insure you if you are currently uninsured. They won't even give you a quote. This is why it is important that you never let your car insurance coverage lapse. Liberty Mutual is one of the very few companies which offer coverage if you are currently uninsured. Many insurance companies run credit checks on you before the application is signed. Some online companies bypass this by allowing you to supply a self reported credit rating from a pull down menu. The reason for the credit checks is that there is a higher underwriting risk not only in terms your ability to make payments and keep policies in force, but the higher claims/loss ratios of folks with bad credit. A 40 year old man with a couple of late payments and no tickets, accidents or major violations might very well qualify for a preferred policy. I highly suggest you get a copy of your drivers license record before shopping for insurance. Many of us have errors in our driving records that can increase auto insurance rates. I once paid a traffic ticket and attended driving school, but they never credited my driving record! How did I find out? Allstate canned me! That's not the way you want to find an error on your driving record. In the newspaper, a clerk of the court admitted they had a 20% error rate, and shrugged it off as normal. So lucky 20% me had my license suspended by mistake. Don't let this happen to you! Trust me, you don't want to go through what I did to fix it. If you go to driving school or pay fines, keep the receipt in your glove box for 3 years or until you renew your license! If you get pulled over by the police, it's your only salvation from being arrested for driving with a suspended license. Just like your credit history determines your car loan approval, your driving record determines how expensive your auto insurance will be. 4. Don't Forget To Budget In Auto Insurance! Don't overlook this important part of the car buying process. If you do you might be in for a shock later. Get an insurance quote on the car you want and, most importantly, shop around! There's some good sites that help you find great deals on car insurance with rate comparison engines. You'll be surprised how much some new cars cost to insure. Some cars are very difficult to insure. 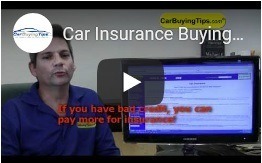 Know your insurance costs before you buy a car and plan your monthly budget accordingly. A lot of people drop the ball on this one. Depending on where you live, you could pay $3,000 a year to insure a new car. This is an average of $167 per month. If you're buying a car on the hairy edge of what you can afford, insurance payments can drag you under since they are part of your monthly cost of ownership. While you're shopping for insurance, here's a few online sites that give you free quotes online. To get the most accurate pricing, be very accurate about the information you enter. Also, try to enter the exact same coverage you desire from each online site you visit, to get a true apples to apples comparison. These sites will give you quotes to compare before making your final decision. Get quotes from as many sites as possible to get your best price. When you decide to buy insurance, don't think you can be smart and neglect to tell them you had a speeding ticket last year. They'll find out when they check your driving record after you apply, even out of state tickets, and your rates will increase accordingly. Liberty Mutual Insurance helps people preserve and protect what they earn, build, own and cherish. In business since 1912 and headquartered in Boston, Massachusetts, Liberty Mutual Insurance is ranked 78th on the Fortune 100 list of largest corporations in the U.S. (based on 2014 revenue). Liberty Mutual Insurance is the fifth-largest auto and home insurer in the U.S. Premiums are often based on a driver's level of demonstrated responsibility. Certain lifestyle changes send signals you've upped your responsibility, reducing the chances you'll file a claim. If you've recently married, bought a home, or your kids moved out, tell your agent. 6. Don't Fall into the Gap! If you owe more on your car than it is worth, if you lease, or if you put down less than 20%, you should get Gap Coverage. Most people refer to it commonly as "gap insurance." Don't even bother buying it from dealers, they charge $500-$700, ask your insurance agent or loan officer about Gap Insurance. If you owe $20,000 on your car, but it's only worth $16,000, you're upside down. You total the car, or it's stolen, your insurance company gives you $16,000. You must still come up with $4,000 to pay off the loan balance, plus your $500 deductible! Gap coverage protects you against this. The better policies cover up to $500 of your deductible. Insurance companies don't like to talk about it but some will pay you what is called "Diminished Value" as part of your claim. It can be very difficult to get, they may deny it exists, but people have been known to collect. Diminished value compensates you for the loss of market value your car suffers after an accident. 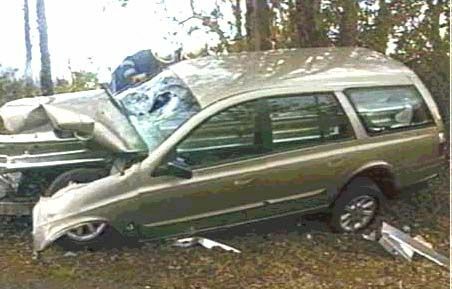 If you wreck your car and then have it repaired, it is worth less when you go to sell it, because no one wants a previously wrecked car. Because if this, some insurance companies will pay you for this loss of value incurred by the accident. Ask your car insurance company if they provide this for you. Be wary of cheap insurance agencies with TV or radio ads claiming to be the lowest price. When I was young, I went through 10 insurance companies in 5 years, because they all low balled me. A month after signing you get a letter stating that your policy will cost an extra $200 due to a "Company Rate Error." This is known in the insurance industry as "Low Balling." It happens all the time and it happened to me. It wasn't until the fourth time that I wised up and started to deal with classier companies like Liberty Mutual. Your state legislators do nothing to stop these low balling losers, so the only way to protect yourself is to stay away from them. The best way to evaluate an insurance company is its A.M. Best rating, which tells you its ability to pay claims. The more A's in the rating the better their ability to pay. Many smaller companies go out of business. What good was a cheaper policy if they no longer exist? Always ask a company what their rating is and look for it in writing to back it up. One last tip, stay away from the sleazy little insurance offices that try to make it look like they are "The Tag Agency." They care more about reeling you in under the pretense of handling the paperwork for your license. Then, they hit you with bloated fees. If it's already on the car, just let the insurance company know. If its not, you can get your own VIN etching kit online for about $19.95.